Parallels is pleased to introduce the update #20 for the version 12.0.18 of Parallels Plesk. The 12.0.18 update #20 is recommended for all Plesk users. It includes resolution of the issues related to the stability, compatibility, and security of your server. To ensure optimal server reliability and security, Parallels strongly recommends keeping your operating system and Plesk software up-to-date. The Joomla! Project is pleased to announce the immediate availability of Joomla 2.5.27. This is a maintenance release addressing issues with yesterday’s 2.5.26 release. This release addresses an issue related to the core update component. 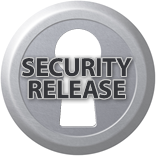 This release is considered a security release since it includes two resolved security issues associated with 2.5.26. Because of the issue with the update component, users who are running 2.5.26 will be unable to update to 2.5.27 using Joomla’s update component. These users will be required to update their Joomla! installation via the Extension Manager. Instructions for updating via the Extension Manager can be found on the Joomla! Documentation Wiki. Users who are running Joomla! 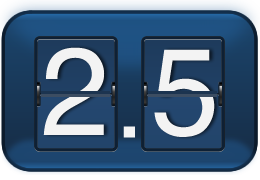 2.5.25 or earlier will be able to update using the update component. The Joomla! Documentation Wiki contains full instructions on how to update your site. As previously noted, the 2.5 series will reach end of life at the end of 2014, which will mark the end of support for this series. At this time, we project that 2.5.28 will be the last scheduled maintenance release, due in approximately six to eight weeks, the typical timeframe between Joomla! releases. Check the Joomla 2.5.27 Post-Release FAQs to see if there are important items and helpful hints discovered after the release. There are a variety of ways in which you can get actively involved with Joomla! It doesn’t matter if you are a coder, an integrator, or merely a user of Joomla!. You can contact the Joomla! Community Development Manager, David Hurley, to get more information, or if you are ready you can jump right into the Joomla! Bug Squad. If you are interested, please read about us on the Joomla! Documentation Wiki and, if you wish to join, email Nick Savov, our Bug Squad coordinator. The Joomla Project is pleased to announce the immediate availability of Joomla 2.5.24. This is a maintenance release for the 2.5 series of Joomla! and addresses two issues found with the e-mail cloaking code introduced into the 2.5.23 release. Check the Joomla 2.5.24 Post-Release FAQs to see if there are important items and helpful hints discovered after the release. If you are interested, please read about us on the Joomla! Documentation Wiki and, if you wish to join, email Mark Dexter or Nick Savov, our Bug Squad co-coordinators. The Joomla Project is pleased to announce the immediate availability of Joomla 2.5.23. This is a maintenance release for the 2.5 series of the Joomla! CMS. Check the Joomla 2.5.23 Post-Release FAQs to see if there are important items and helpful hints discovered after the release. See http://developer.joomla.org/version-2-5-23-release-notes.html for details of the tracker items fixed. The Joomla Project is pleased to announce the immediate availability of Joomla 2.5.22. This is a maintenance release for the 2.5 series of the Joomla! CMS addressing a fatal error introduced into the contact form in the 2.5.21 release yesterday. Check the Joomla 2.5.22 Post-Release FAQs to see if there are important items and helpful hints discovered after the release. Abd Al-Mageed Suckar, Achal Aggarwal, Angel Toribio, Bastian W, Ben Tasker, Benjamin Trenkle, Bernard Saulme, Brian Teeman, Camden Narzt, Christiane Maier-Stadtherr, Chris Davenport, Christopher Masters, Daniel Sloof, David Jardin, Dennis Hermacki, Edwin Cheront, Elijah Madden, Florian Dal Fitto, George Wilson, Hannes Papenberg, Hans Kuijpers, Håvard Kristoffersen, Izhar Aazmi, Jean-Marie Simonet, Jelle Kok, Jisse Reitsma, Juelis Junior, Jurian Even, Klas Berlič, Kristijan Zivcec, Leo Lammerink, Marcel van Beelen, Marco Richter, Matt Thomas, Michael Babker, Nha Bui, Nicholas Dionysopoulos, Nick Savov, Niels van der Veer, Ove Eriksson, Ozan Ozkan, Patrick Alt, Peter Lose, Peter van Westen, Peter Wiseman, Piotr Mocko, Pruteanu Alexandru, Richard McDaniel, Robert Deutz, Roberto Segura, Roelf Pringle, Roland Dalmulder, Sebastien Heraud, Sergey Gribinichenko, Sergio Manzi, Seyi Awofadeju, Simon Asika, Stefania Gaianigo, Stefano Storti, Thomas Hunziker, Thomas Jackson, Tobias Zulauf, Todor Iliev, Valentin Despa, Viktor Vogel. Active members of the Joomla! Bug Squad during past 3 months include: Achal Aggarwal, Andrea Zagli, Anibal Sanchez, Beat , Benjamin Trenkle, Brad Markle, Brian Teeman, Chris Davenport, Christiane Maier-Stadtherr, Dan Walker, David Jardin, Demis Palma, Dennis Hermacki, Dimitris Grammatikos, Elijah Madden, George Wilson, Hans Kuijpers, Hugo Avila, Itamar Elharar, Jean-Marie Simonet, jelle kok, Jurian Even, Lara Petersen, Leo Lammerink, Marc Antoine Thevenet, Marcel van Beelen, Marco Richter, Matt Thomas, Michael Babker, Mikhail M, Mohamed Infaz, Nick Savov, Niels van der Veer, Peter Lose, Peter Martin, Peter Wiseman, Piotr Mocko, Robert Gastaud, Roberto Segura, Roland Dalmulder, Sander Potjer, Sergio Manzi, Stefania Gaianigo, Thomas Hunziker, Thomas Jackson, Tobias Zulauf, Todor Iliev, Tom Hutchison, Valentin Despa, Viktor Vogel. The Joomla Project is pleased to announce the immediate availability of Joomla 2.5.21. This is a maintenance release for the 2.5 series of the Joomla! CMS. Check the Joomla 2.5.21 Post-Release FAQs to see if there are important items and helpful hints discovered after the release. See http://developer.joomla.org/version-2-5-21-release-notes.html for details of the tracker items fixed. The Joomla Project is pleased to announce the immediate availability of Joomla 2.5.20. Check the Joomla 2.5.20 Post-Release FAQs to see if there are important items and helpful hints discovered after the release. See http://developer.joomla.org/version-2-5-20-release-notes.html for details of the tracker items fixed. Achal Aggarwal, Allessandro Rossi, Alexandru Pruteanu, Andrea Zagli, Andrew Nester, Anibal Sanchez, Brad Markle, Brian Teeman, Carles Serrats, Chris Davenport, Constantin Romankiewicz, Dan Walker, David Hjelm, David Jardin, Demis Palma, Denise McLaurin, Dimitris Grammatikos, Edwin Cheront, Elijah Madden, Fiona Coulter, George Wilson, Hannes Papenberg, Hugo Avila, Itamar Elharar, Javier Gomez, Jean-Marie Simonet, Jurian Even, Kshitij Sharma, Lara Petersen, Marc Antoine Thevenet, Marco Richter, Mark Dexter, Marko Đedović, Matt Thomas, Michael Babker, Mohamed Infaz, Nikolai Plath, Peter Lose, Peter Martin, R Rajoz, René Alain Erichsen, Reinhard Hiebl, Robert Gastaud, Roberto Segura, Roland Dalmulder, Sander Potjer, Sebastian Hopfe, Stefania Gaianigo, Simon Asika, Thomas Hunziker, Tino Brackebusch, Tobias Zulauf, Valentin Despa, Viktor Vogel. Active members of the Joomla! Bug Squad during past 3 months include: Achal Aggarwal, Adam Przybylski, Alexandru Pruteanu, Andrea Zagli, Andrew Nester, Anibal Sanchez, Ben Charlton, Ben Griffin, Benjamin Trenkle, Brad Markle, Brian Teeman, Chris Davenport, Christiane Maier-Stadtherr, Constantin Romankiewicz, Cyril Rezé, Dan Walker, Daniel Dimitrov, David Jardin, Demis Palma, Denise McLaurin, Dennis Hermacki, Dimitris Grammatikos, Edwin Cheront, Elijah Madden, Fedik Zinchuk, Gary Mort, George Wilson, Hannes Papenberg, Hugo Avila, Itamar Elharar, Jean-Marie Simonet, Jurian Even, Kevin Griffiths, Lara Petersen, Marc Antoine Thevenet, Marco Richter, Marko Đedović, Matias Aguirre, Matt Thomas, Michael Babker, Mohamed Infaz, Nikolai Plath, Peter Lose, Peter Martin, Peter van Westen, Peter Wiseman, Piotr Mocko, Robert Deutz, Robert Gastaud, Roberto Segura, Roland Dalmulder, Sander Potjer, Stefania Gaianigo, Thomas Hunziker, Tino Brackebusch, Tobias Zulauf, Todor Iliev, Toivo Talikka, Valentin Despa, Viktor Vogel. The Joomla Project is pleased to announce the immediate availability of Joomla 2.5.19. Joomla 2.5.19 is a security release addressing two medium level vulnerabilities. Check the Joomla 2.5.19 Post-Release FAQs to see if there are important items and helpful hints discovered after the release. See http://developer.joomla.org/version-2-5-19-release-notes.html for details of the tracker items fixed. You can also help Joomla! development by thanking those involved in the many areas of the process. In the past year, for example, over 1,100 bugs have been fixed by the Bug Squad. Ben Charlton, Benjamin Trenkle, Brian Teeman, Carsten Wirtz, Christiane Maier-Stadtherr, Cyril Rezé, Denise McLaurin, Eino Mäkitalo, Fedik Zinchuk, George Wilson, Gunjan Patel, Hannes Papenberg, Ionut Lupu, Javier Gomez, Jean-Marie Simonet, Jonathan Cameron, Leo Lammerink, Marc Antoine Thevenet, Marco Richter, Marko Đedović, Matt Thomas, Michael Babker, Nikolai Plath, Peter van Westen, Piotr Mocko, Roberto Segura, Sander Potjer, Simon Asika, Thomas Hunziker, Tobias Zulauf, Toivo Talikka, Valentin Despa, Yannick Gaultier. Active members of the Joomla! Bug Squad during past 3 months include: Achal Aggarwal, Anderson Martins, Anibal Sanchez, Ben Charlton, Ben Griffin, Brian Teeman, Camden Narzt, Christiane Maier-Stadtherr, Cyril Rezé, Daniel Dimitrov, Denise McLaurin, Dennis Hermacki, easteregg easteregg, Edwin Cheront, Elijah Madden, Fedik Zinchuk, Gary Mort, George Wilson, Hannes Papenberg, Jean-Marie Simonet, Jozsef Tamas Herczeg, Jurian Even, Kevin Griffiths, Kunal Bajpai, Lao Neo, Leo Lammerink, Marc Antoine Thevenet, Marcel van Beelen, Marco Richter, Marko Đedović, Matt Thomas, Max Sarte, Melih Tas, Michael Babker, Mohammad Hasani Eghtedar, Nicholas Dionysopoulos, Nikolai Plath, Parth Lawate, Peter van Westen, Piotr Gasiorowski, Piotr Mocko, Robert Gastaud, Roberto Segura, Samuel Moffatt, Sander Potjer, Serge Litvinov, Simon Asika, Stefania Gaianigo, Thomas Hunziker, Thomas Jackson, Thomas Kuschel, Tino Brackebusch, Tobias Zulauf, Toivo Talikka, Valentin Despa, Yannick Gaultier. The Joomla Project is pleased to announce the immediate availability of Joomla 2.5.18. Check the Joomla 2.5.18 Post-Release FAQs to see if there are important items and helpful hints discovered after the release. See http://developer.joomla.org/version-2-5-18-release-notes.html for details of the tracker items fixed. Active members of the Joomla! Bug Squad during past 3 months include: Achal Aggarwal, Anderson Martins, Artur StÄpieÅ, Ashan Fernando, Beat, Brian Teeman, Bruno Batista, Buddhima Wijeweera, Camden Narzt, Christelle Olivier, Constantin Romankiewicz, Cyril Rezé, Daniel Dimitrov, David Beuving, David Jardin, Demis Palma, Dennis Hermacki, easteregg easteregg, Edwin Cheront, Elijah Madden, Florian DAL FITTO, Gary Mort, George Wilson, Gunjan Patel, Hannes Papenberg, irbian irbian, Isabelle eff, JÃ©rÃ´me GLATIGNY, Jean-Marie Simonet, jelle kok, Jisse Reitsma, Jozsef Tamas Herczeg, Jurian Even, Kevin Griffiths, Kunal Bajpai, Lao Neo, leo lammerink, Marc Antoine Thevenet, Marcel van Beelen, Marijke Stuivenberg, Mark Dexter, Marko Đedović, Matias Aguirre, Matt Thomas, Max Sarte, Melih Tas, Michael Babker, Michael Dunkle, MIG Manickam, Mohammad Hasani Eghtedar, Nicholas Dionysopoulos, Ofer Cohen, Parth Lawate, patrick kohl, Peter van Westen, Piotr Gasiorowski, Piotr Mocko, Ray Lawlor, Robert Gastaud, Roberto Segura, Samuel Moffatt, Sander Potjer, Serge Litvinov, Simon Asika, Skullbock Skullbock, Stefania Gaianigo, Steve Binkowski, Thomas Hunziker, Thomas Jackson, Thomas Kuschel, Tino Brackebusch, Tobias Zulauf, Tom Hutchison, Valentin Despa, Yannick Gaultier. A big thanks to the Joomla! Security Strike Team for their ongoing work to keep Joomla! secure. Members include: Airton Torres, Alan Langford, Beat, Bill Richardson, Claire Mandville, David Hurley, Don Gilbert, Gary Brooks, Jason Kendall, Javier Gomez, Jean-Marie Simonet, Marijke Stuivenberg, Mark Boos, Mark Dexter, Matias Griese, Michael Babker, Nick Savov, Pushapraj Sharma, Rouven Weßling. Check the Joomla 2.5.17 Post-Release FAQs to see if there are important items and helpful hints discovered after the release. See http://developer.joomla.org/version-2-5-17-release-notes.html for details of the tracker items fixed. You can also help Joomla! development by thanking those involved in the many areas of the process. In the past year, for example, over 1,150 bugs have been fixed by the Bug Squad. Active members of the Joomla! Bug Squad during past 3 months include: Achal Aggarwal, Adelene Teh, Aleksander Linkov, Angelika Reisiger, Anibal Sanchez, Anja Hage, Artur Alves, Ashan Fernando, Beat , Brian Teeman, Chad Windnagle, Constantin Romankiewicz, Daniel Kanchev, David Hurley, Dennis Hermacki, Dimitar Genchev, Duong Nguyen, Edwin Cheront, Elin Waring, George Wilson, Gunjan Patel, Hans Kuijpers, Hervé Boinnard, Hugh Messenger, Janich Rasmussen, Jason Rey, Jérôme GLATIGNY, Jean-Marie Simonet, Jern Wei Tan, Jerri Christiansen, Jozsef Tamas Herczeg, Khai Vu Dinh, klas 10, landor landor, Lao Neo, Lara Petersen, Le Van Thuyet, Leo Lammerink, Loc Le Minh, Lu Nguyen, Marc Antoine Thevenet, Marijke Stuivenberg, Mario Proenca, Mark Dexter, Mark Lee, Matias Aguirre, Michael Babker, Mihail Irintchev, Mike Biolsi, Mike Veeckmans, Nha Bui, Nicholas Dionysopoulos, Nick Savov, Nik Faris Akmal, Ofer Cohen, Olaf Offick, Patrick Alt, Peter Martin, Peter van Westen, Peter Wiseman, Piotr Konieczny, Radek Suski, Richard McDaniel, Rob de Cleen, Robert Deutz, Robert Gastaud, Roberto Segura, Roland Dalmulder, Ronni Christiansen, Sam Teh, Sander Potjer, Sandra Thevenet, Sebastian Łuckoś, Sergio Iglesias, Seth Warburton, Shafiq Mazlan, Stefania Gaianigo, Thomas Hunziker, Tino Brackebusch, TJ Baker, Tobias Zulauf, tompap, Troy Hall, Tu Diep The, Valentin Despa, Victor Drover, Viliam Kubis, Yiliang Yang. The Joomla Project is pleased to announce the immediate availability of Joomla 2.5.16. 2.5.16 addresses three critical issues reported after the release of 2.5.15 earlier today. Aside from the links to the download packages, the text of the rest of this article is the same as that of today’s 2.5.15 release. For users on 2.5.15 who are unable to update to 2.5.16 via the core update component, please download the patch package from http://joomlacode.org/gf/download/frsrelease/18859/91475/Joomla_2.5.15_to_2.5.16-Stable-Patch_Package.zip and install it via your Extension Manager to update. This is a security release addressing three security issues. The Production Leadership Team’s goal is to continue to provide regular, frequent updates to the Joomla community. Learn more about Joomla! development at the Developer Site. Want to test drive Joomla? Try the online demo or the Joomla JumpBox. Documentation is available for beginners. Check the Joomla 2.5.15 Post-Release FAQs to see if there are important items and helpful hints discovered after the release. See http://developer.joomla.org/version-2-5-15-release-notes.html for details of the tracker items fixed. Active members of the Joomla Bug Squad during past 3 months include: Achal Aggarwal, Adelene Teh, Aleksander Linkov, Angelika Reisiger, Anibal Sanchez, Anja Hage, Artur Alves, Ashan Fernando, Beat , Brian Teeman, Chad Windnagle, Constantin Romankiewicz, Daniel Kanchev, David Hurley, Dennis Hermacki, Dimitar Genchev, Duong Nguyen, Edwin Cheront, Elin Waring, George Wilson, Gunjan Patel, Hans Kuijpers, Hervé Boinnard, Hugh Messenger, Janich Rasmussen, Jason Rey, Jérôme GLATIGNY, Jean-Marie Simonet, Jern Wei Tan, Jerri Christiansen, Jozsef Tamas Herczeg, Khai Vu Dinh, klas 10, landor landor, Lao Neo, Lara Petersen, Le Van Thuyet, Loc Le Minh, Lu Nguyen, Marc Antoine Thevenet, Marijke Stuivenberg, Mario Proenca, Mark Dexter, Mark Lee, Matias Aguirre, Michael Babker, Mihail Irintchev, Mike Biolsi, Mike Veeckmans, Nha Bui, Nicholas Dionysopoulos, Nick Savov, Nik Faris Akmal, Ofer Cohen, Olaf Offick, Patrick Alt, Peter Martin, Peter van Westen, Peter Wiseman, Piotr Konieczny, Radek Suski, Richard McDaniel, Rob de Cleen, Robert Deutz, Robert Gastaud, Roberto Segura, Roland Dalmulder, Ronni Christiansen, Sam Teh, Sander Potjer, Sandra Thevenet, Sebastian Łuckoś, Sergio Iglesias, Seth Warburton, Shafiq Mazlan, Stefania Gaianigo, Thomas Hunziker, Tino Brackebusch, TJ Baker, Tobias Zulauf, tompap tompap, Troy Hall, Tu Diep The, Valentin Despa, Victor Drover, Viliam Kubis, Yiliang Yang. A big thanks to the Joomla! Security Strike Team for their ongoing work to keep Joomla secure. Members include: Airton Torres, Alan Langford, Beat, Bill Richardson, David Hurley, Don Gilbert, Elin Waring, Gary Brooks, Jason Kendall, Jean-Marie Simonet, Marijke Stuivenberg, Mark Boos, Mark Dexter, Matias Griese, Michael Babker, Nick Savov, Pushapraj Sharma, Rouven Weßling. The Joomla Project is pleased to announce the immediate availability of Joomla 2.5.15. This is a security release addressing three security issues. The Production Leadership Team’s goal is to continue to provide regular, frequent updates to the Joomla community. Learn more about Joomla! development at the Developer Site. We are pleased to introduce new updated Release Notes! • Do you think Upgrade Impacts are useful? • What kind of information is missing from Upgrade Impacts? • What kind of information present in Upgrade Impacts is important/helpful, so we should continue to add it? • What kind of information present in Upgrade Impacts is useless, so we should remove it? • What other improvements to Plesk Release Notes you want? The Joomla Project is pleased to announce the immediate availability of Joomla 3.1.5. This is a security release addressing a critical level security issue. The Production Leadership Team’s goal is to continue to provide regular, frequent updates to the Joomla community. Learn more about Joomla! development at the Developer Site. Note: Please read the instructions below. FAQ on updating from 2.5.x (if desired)*. Please read the entire FAQ to get all the pertinent information. *Please be sure to clear your browser’s cache after upgrading. Check the Joomla 3.1.5 Post-Release FAQs to see if there are important items and helpful hints discovered after the release. See http://developer.joomla.org/version-3-1-5-release-notes.html for details of the tracker items fixed. What are the new features of the Joomla! 3 series? A new responsive administrator template –Isis– and interface. PostgreSQL Driver. You will be able to run Joomla 3.1 sites using the PostgreSQL database. How can I update from Joomla! 3.0 to 3.1? Joomla 3.0 to 3.1 is a one-click upgrade with backward compatibility and is NOT a migration. The same is true is for any subsequent versions in the Joomla 3 series. Thus, if you’re running a Joomla 3.0 site, please one-click upgrade, within the Joomla! Update component, to Joomla 3.1 to get the new features and the latest bugs fixes. Will I be able to update directly to Joomla! 3 from Joomla! 2.5? Moving to Joomla 3.x from Joomla 2.5 will be a mini-migration not an upgrade, although for the core of Joomla! the migration should be simple. However, it is likely that templates for Joomla 2.5 will need modification to work with Joomla 3 as will many extensions. Always test prior to migrating and consult with the developers of any extensions and templates you use. Version 2.5 of the Joomla! CMS is a Long Term Support release and support for it will continue until shortly after the release of Joomla 3.5 scheduled for Spring 2014. Joomla 2.5 users do not need to migrate to Joomla 3.1. Support for Joomla 1.5 ended in April of 2012 and we continued to support it unofficially until the end of 2012 for medium to high priority security issues. Does that mean your 1.5 site will suddenly stop working? No, your site will continue to work as it always has. However, Joomla’s developers will not be releasing new versions for Joomla 1.5, so you won’t be getting bug fixes or security fixes. For this reason, it’s recommended to migrate from 1.5. Moving from 2.5 to any Joomla 3 version is relatively simple, since Joomla has made the process easy for newer versions. Unfortunately, moving from 1.5 is not a trivial task. Fortunately, there are two good extensions that make the process easier:jUpgrade and SPUpgrade. You have a choice of going straight to Joomla 3.1 or going to 2.5 first. Both jUpgrade and SPUpgrade have versions ready for both versions. Please consult with their documentation on how to migrate from Joomla 1.5 to 3.1/2.5. For most new/migrated sites, the Joomla! 3 series is the preferred series and starting on it avoids a mini-migration from Joomla 2.5 later down the road. Starting on the Joomla 3 series for a new/migrated site, also provides you with longer backward compatible support (with one-click upgrades) than starting a new site on 2.5 right now, because support for 3.x ends in 2016. Bug Squad Leadership: Mark Dexter and Nick Savov, Co-Coordinators. Super-star contributors and leaders by example: David Hurley, Jean-Marie Simonet, Brian Teeman, Elin Waring, Marc Antoine Thevenet, Michael Babker, and Roberto Segura. There are a variety of ways in which you can get actively involved with Joomla! It doesn’t matter if you are a coder, an integrator, or merely a user of Joomla!. You can contact the Joomla! Community Development Manager, David Hurley, david.hurley@joomla.org, to get more information, or if you are ready you can jump right into the Joomla! Bug Squad. The Joomla Bug Squad is one of the most active teams in the Joomla development process and is always looking for people (not just developers) that can help with sorting bug reports, coding patches and testing solutions. It’s a great way for increasing your working knowledge of Joomla, and also a great way to meet new people from all around the world. If you are interested, please read about us on the Joomla Wiki and, if you wish to join, email Mark Dexter, one of the Bug Squad co-coordinators. You can also help Joomla development by thanking those involved in the many areas of the process. The project also wants to thank all of the people who have taken the time to prepare and submit work to be included in the Joomla CMS, and to those who have worked very hard on the Joomla Framework. The Joomla Project is pleased to announce the immediate availability of Joomla 2.5.14. This is a security release addressing a critical level security issue. The Production Leadership Team’s goal is to continue to provide regular, frequent updates to the Joomla community. Learn more about Joomla! development at the Developer Site. Check the Joomla 2.5.14 Post-Release FAQs to see if there are important items and helpful hints discovered after the release. See http://developer.joomla.org/version-2-5-14-release-notes.html for details of the tracker items fixed. The Joomla Project is pleased to announce the immediate availability of Joomla 3.1.4. This is a maintenance release with no security fixes. The Production Leadership Team’s goal is to continue to provide regular, frequent updates to the Joomla community. Learn more about Joomla! development at the Developer Site. What are the new features of Joomla! 3.1.4? Check the Joomla 3.1.4 Post-Release FAQs to see if there are important items and helpful hints discovered after the release. See http://developer.joomla.org/version-3-1-4-release-notes.html for details of the tracker items fixed. A new responsive administrator template–Isis– and interface. Moving from 2.5 to any Joomla 3 version is relatively simple, since Joomla has made the process easy for newer versions. Unfortunately, moving from 1.5 is not a trivial task. Fortunately, there are two good extensions that make the process easier: jUpgrade and SPUpgrade. A big thanks to the Joomla! Security Strike Team for their ongoing work to keep Joomla secure. Members include: Airton Torres, Alan Langford, Beat, Bill Richardson, Brian Teeman, David Hurley, Don Gilbert, Elin Waring, Gary Brooks, Jason Kendall, Jean-Marie Simonet, Marijke Stuivenberg, Mark Boos, Mark Dexter, Matias Griese, Michael Babker, Nick Savov, Pushapraj Sharma, Rouven Weßling. You can also help Joomla development by thanking those involved in the many areas of the process. The project also wants to thank all of the people who have taken the time to prepare and submit work to be included in Joomla 1.6,1.7, 2.5, & 3.0, 3.1, and to those who have worked very hard on the Joomla Framework. The Joomla Project is pleased to announce the immediate availability of Joomla 2.5.13. This is a maintenance release with no security fixes. The Production Leadership Team’s goal is to continue to provide regular, frequent updates to the Joomla community. Learn more about Joomla! development at the Developer Site. Check the Joomla 2.5.13 Post-Release FAQs to see if there are important items and helpful hints discovered after the release. See http://developer.joomla.org/version-2-5-13-release-notes.html for details of the tracker items fixed. Joomla 2.5.13 is a maintenance release. There were no security fixes fixed in this release. Parallels Plesk Control Panel 8.6.0.5 is released. Parallels Plesk Control Panel 8.6.0.4 is released. Parallels Plesk Control Panel 8.6.0.2 for Linux/UNIX is released. Parallels Plesk Control Panel 8.6.0.3 for Windows has been released. Parallels Plesk Control Panel 8.6.0.2 for Windows has been released. Parallels Plesk Control Panel 8.6.0.1 has been released. 43 queries. 7.25 mb Memory usage. 0.401 seconds.